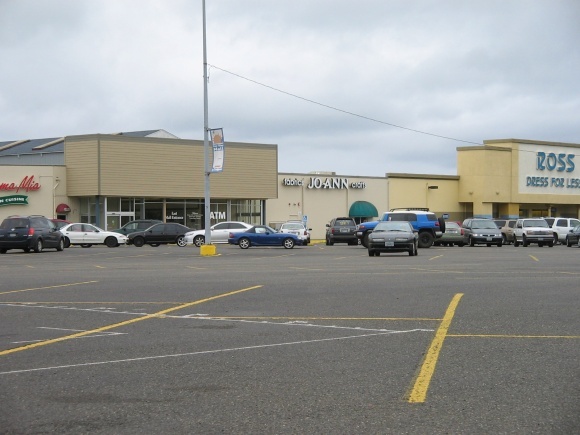 I realize this is two Oregon malls in a row, but until recently we really didn’t have much to offer in that state. 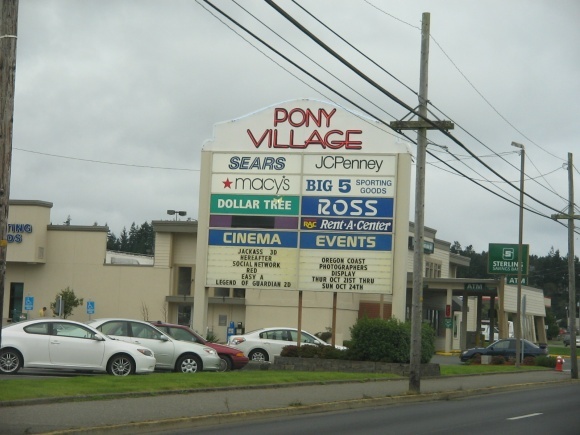 No more: Introducing the Pony Village Mall, a small town mall on the Oregon coast that its likely few of you have ever seen or heard of. 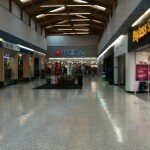 Malls like this seem to be popular on this site, so I hope you like it. 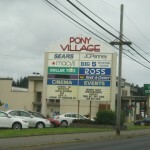 The Pony Village Mall is a 341,000 square foot enclosed mall located in North Bend, on Oregon’s coast. 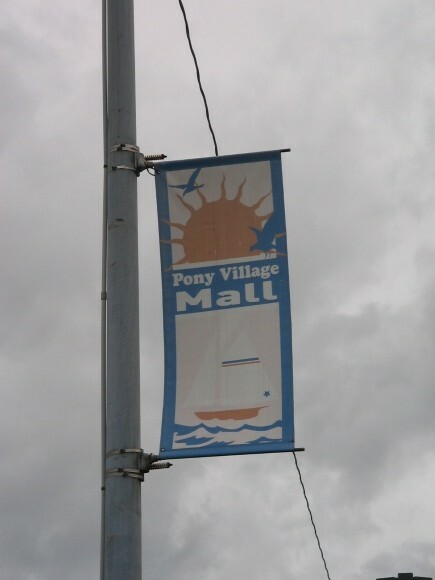 Pony Village is the only enclosed mall on the entire Oregon coast, and serves the twin cities of North Bend and Coos Bay (sometimes jokingly, affectionately referred to as the “Bay Area” of Oregon). 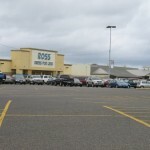 Due to the mall’s size and relative remoteness, it is decidedly small-town in its appeal, and in fact was sold in 2009 to a couple from Alaska–not some big conglomerate like GGP or Simon. 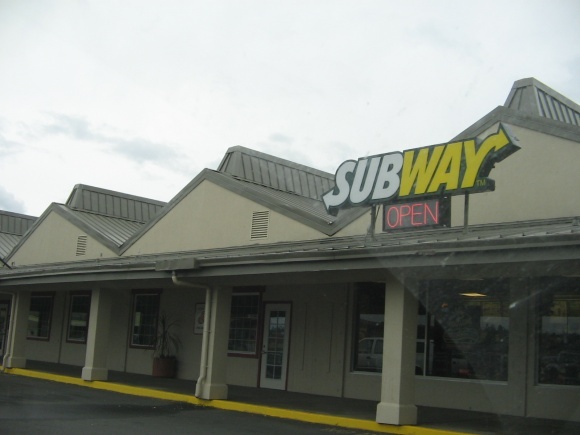 As a result, it maintains a lot of its down-home, community appeal and it has also remained charmingly dated over the years. 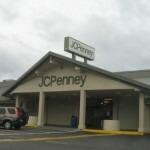 Surprisingly, its also reasonably successful, with legitimate anchors like Macy’s (almost certainly a former Meier + Frank Bon Marché), JCPenney, Ross Dress 4 Less, Big 5 Sporting Goods, and a Sears appliance store filling its ranks, and a hodgepodge of local and national tenants filling in the spaces between. 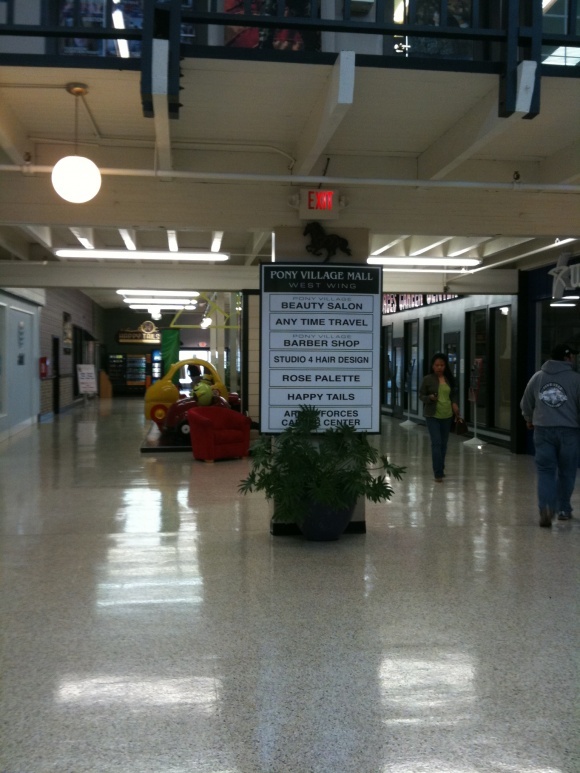 Architecturally, and in terms of layout, the Pony Village Mall was also a gem. 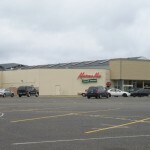 From the exterior, there’s a varied and undulating roofline, and a significant plaza portion with exterior-only facing stores. 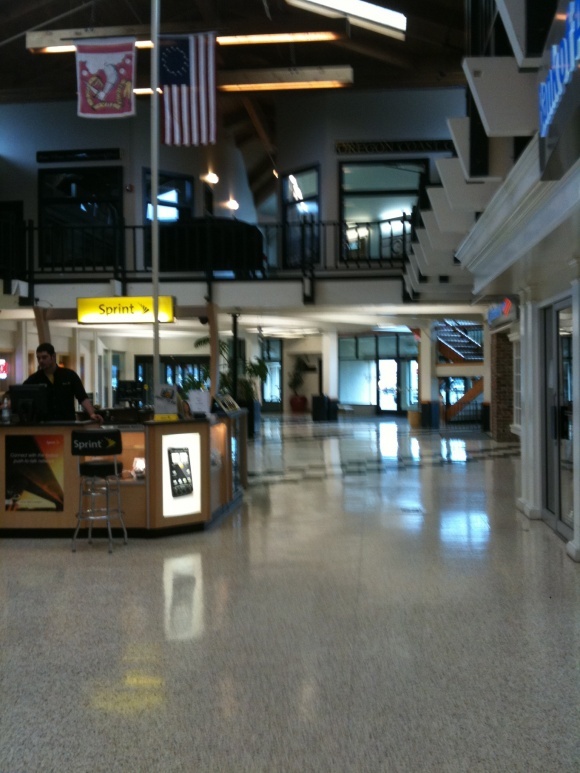 Inside, it’s mainly a straight shot, but one half of the mall is two level (with a second level of mostly service-related and office type businesses) and the other half has extremely high, wood-paneled ceilings. 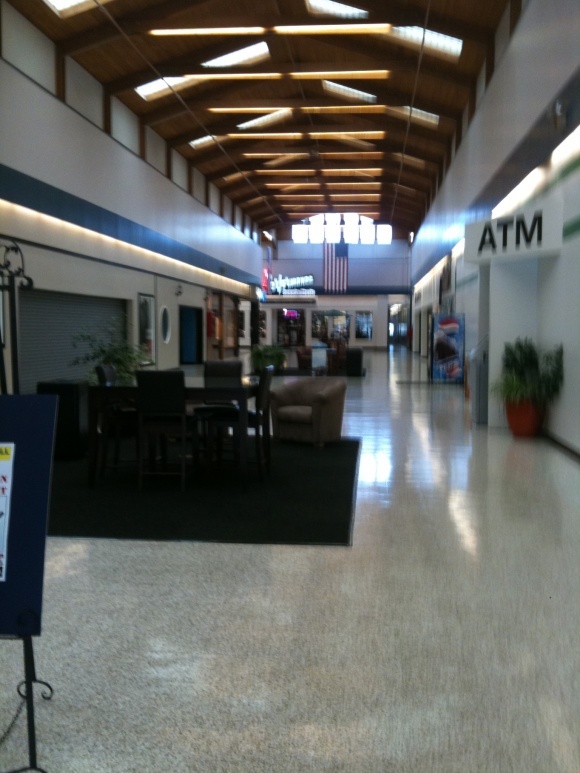 Malls like this simply don’t exist anymore outside of remote small towns. 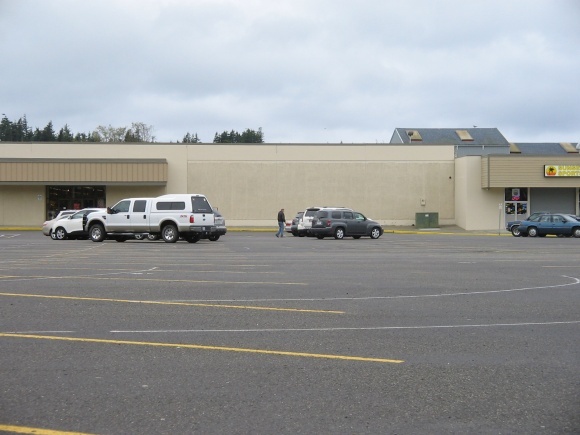 North Bend and Coos Bay only have a combined 25,000 people or so, so there’s not quite the market for much more than this. 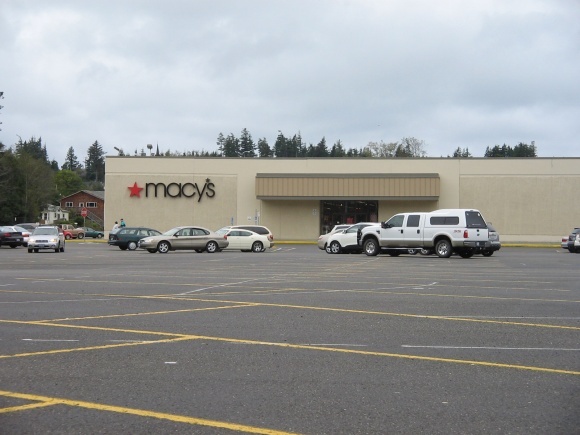 There’s also relatively little “modern” big box development in the area, and the twin cities seem a bit less touristy than some other Oregon coast cities like Newport and Florence–possibly the reason this place seems to persevere in its state. 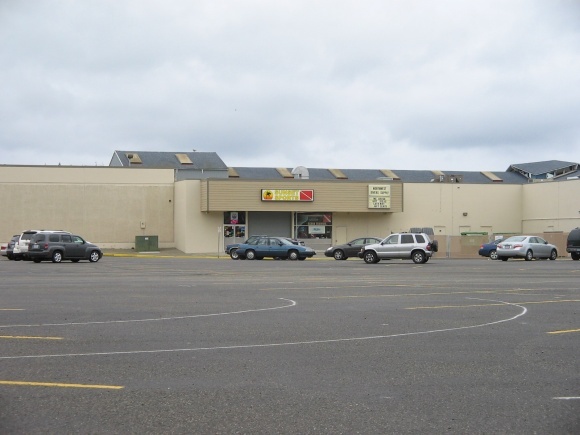 I can find almost nothing about this place’s history online–I’m guessing it opened in the 70s, but who knows really–so in the unlikely event that anyone from the Oregon coast stops by, I hope you can fill us in a little bit on the history of the Pony Village Mall. 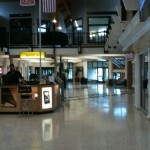 More photos of the mall’s storefronts here! 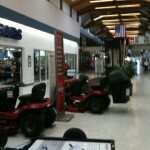 Out of towners- you must stop by the Pony Boy Mall for a taste of small town Americuh. This place rules. 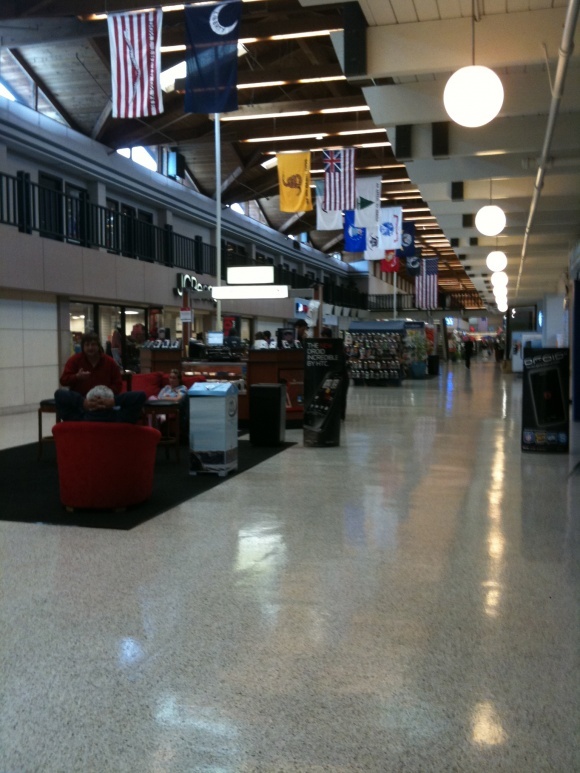 There’s a saddlery, all branches of military recruiters, a new-agey tribal gift shop, and Sears. 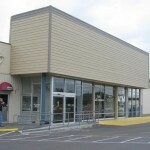 The movie theater is way cheap and is now stadium seating. Sure, there might be a green line running through the screen throughout the entire film but who cares? Using a GPS? 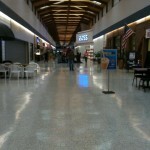 Set it to the British guy and program it so that he tells you “Now arriving at Pony Boy Mall.” I almost wet my pants. 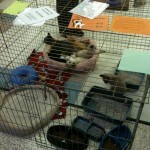 It’s the small things that make life meaningful. 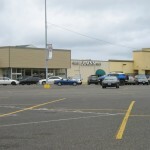 I remember visiting a small and boring mall back in the nineties somewhere in the northwest. 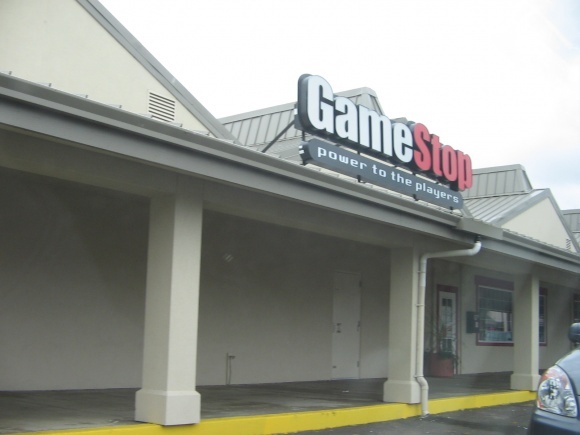 I don’t remember exactly when I visited and certainly did not remember exactly where it was. 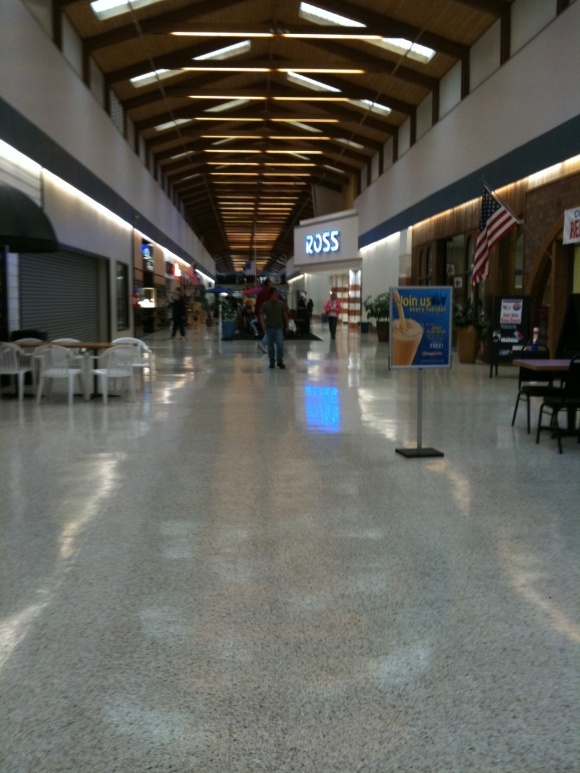 Imagine my surprise years later when I discovered your post about this very mall. Sorry I have no info on it. 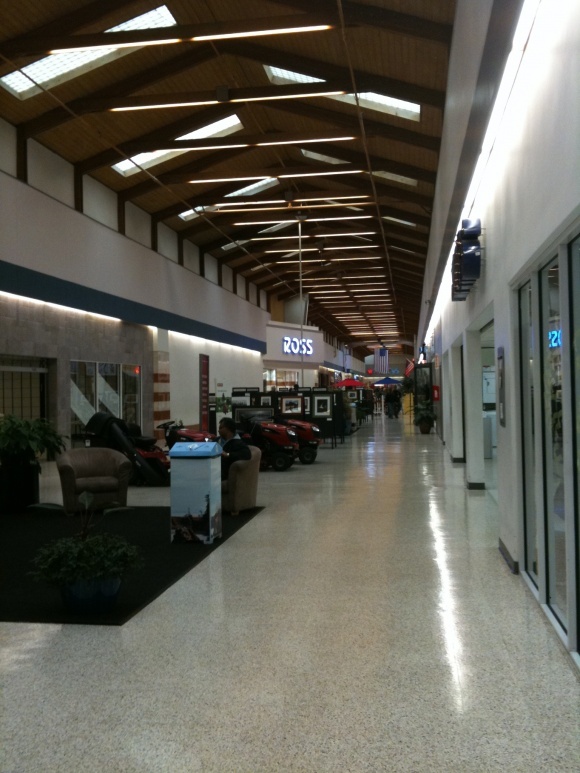 This is a groovy little mall. 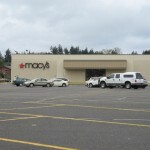 Anybody else shocked that there is still a Macy’s here? 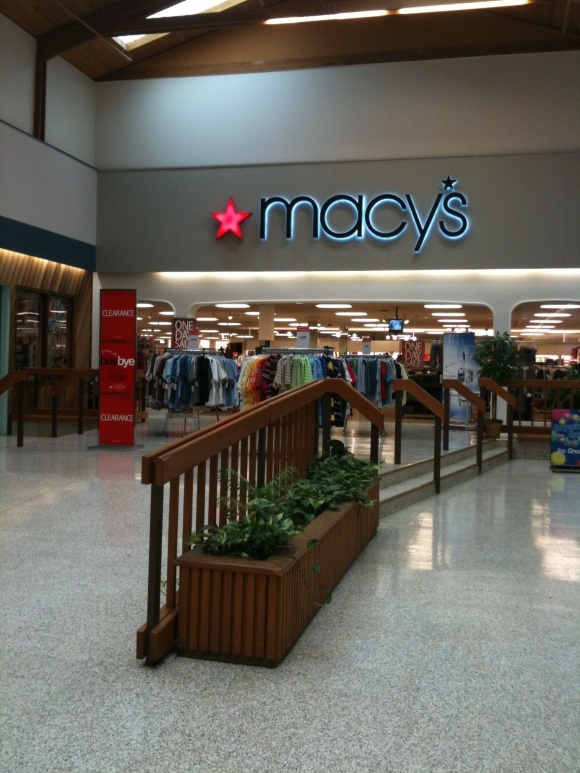 @Steven Swain, this Macy’s was almost certainly a Meier + Frank, which might explain it. I probably should’ve mentioned that in the post, actually. 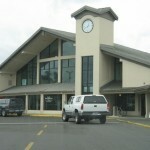 I was born in Coos Bay and my parents grew up in the area. 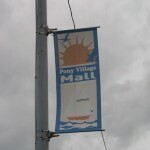 They say Pony Village mall was opened in 1960. 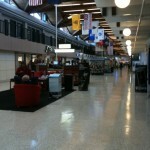 While just a straight-shot main corridor, the vaulted ceilings really make the place look huge, and those hanging illuminated globes yell out, “Hey look, groovy 1970s touches” through the halls. 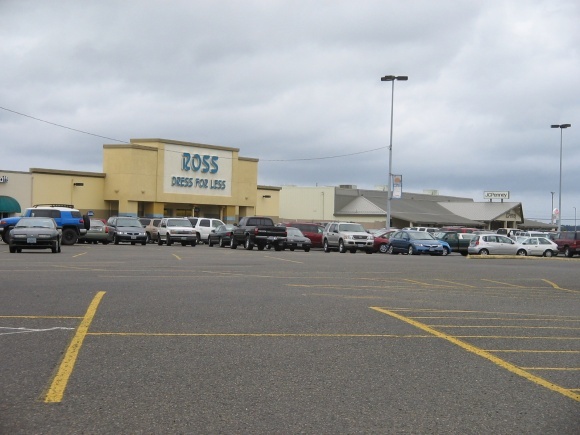 I also like the fact that there’s a second-floor terrace level for offices and other services, allowing the first floor to be left over for retailers. 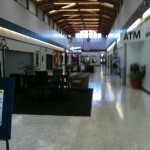 The now-razed Valley Fair in Appleton had a similar setup….office space on its upper level at either side of the center atrium. 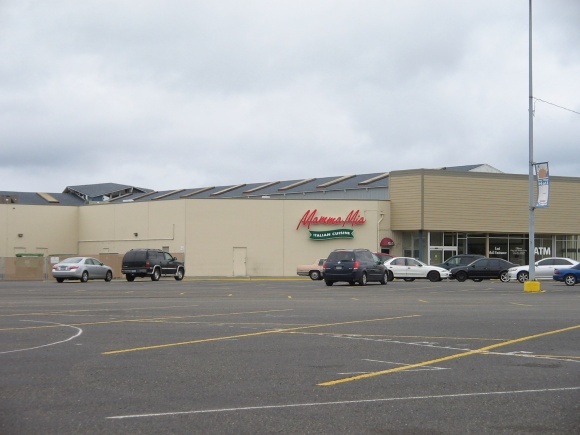 Definitely don’t find malls like this much anymore (at least not in my neck of the country….most if not all have been torn down, de-malled or severely truncated to a slice of their former selves), and seems to be well-kept too. 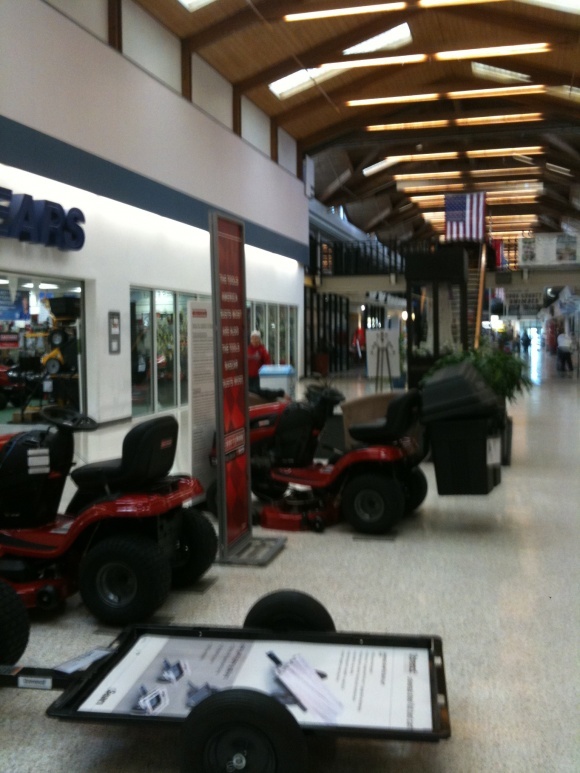 The folks who own the mall obviously take some level of pride and want to give the area a place to escape the (oftentimes) cold, gloomy rainy winters. 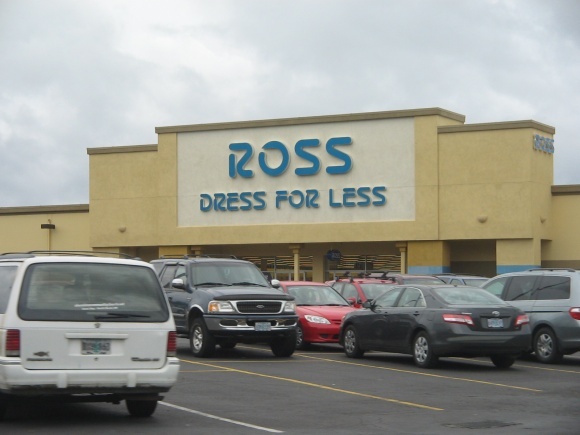 I’m one of those who enjoys seeing these sort of ‘out of the way’ hidden gems, Caldor. Nice find indeed. 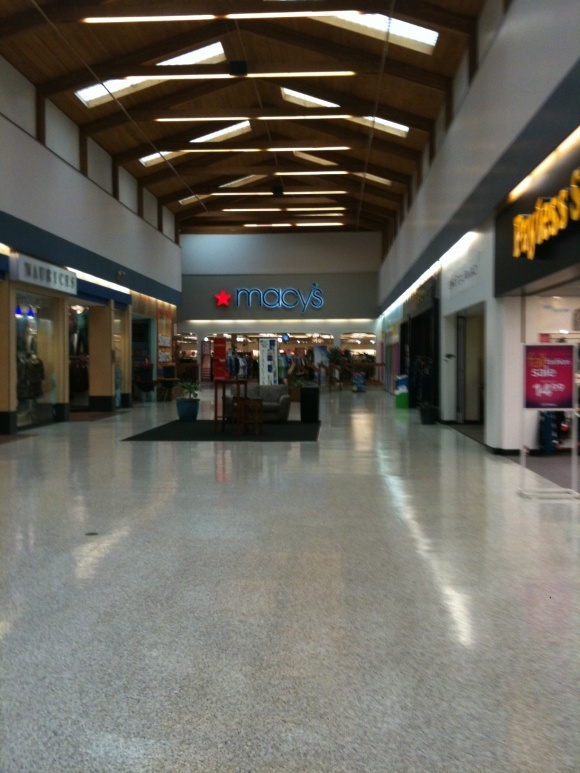 Wait, so the Yelp review called it “Pony Boy” Mall. 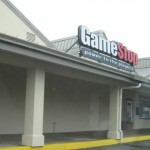 What’s up with that? 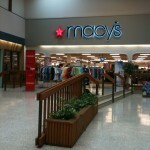 Macy’s here was a Bon Marché. 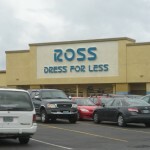 Ross was a Troutman’s Emporium. 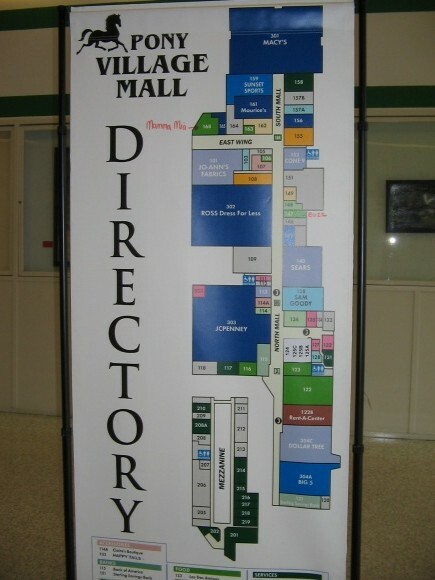 I think this mall had a Safeway at one point, maybe where Big 5 is now. 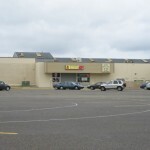 A new Safeway opened on the periphery in 1998. 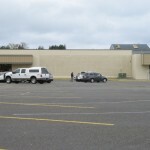 It was also owned by J. Herzog in the early 2000s. @Bobby P., Bon Marché, really? 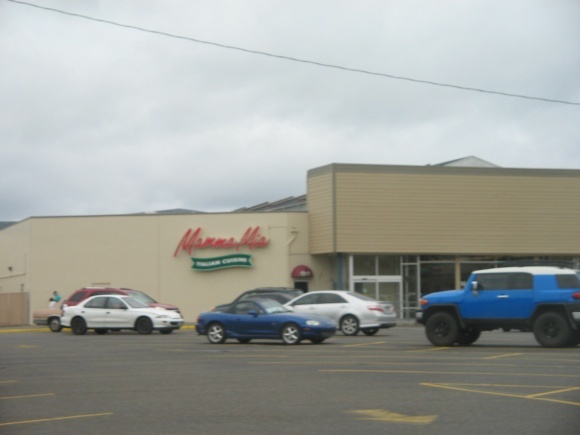 This mall is in southwestern Oregon; I figured for sure this was Meier + Frank territory. 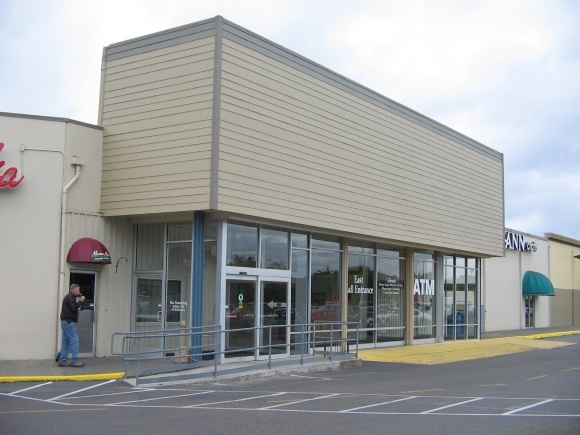 M+F was Portland’s big store. 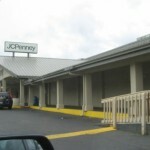 @Bobby P., Yep, that’s right Bobby and there was a Safeway in the mall, right where the Big 5 is now, I believe. 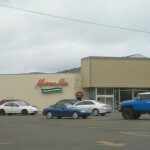 There was also a Payless Drug Store and a Sprouse Reitz, where the Chinese restaurant is. 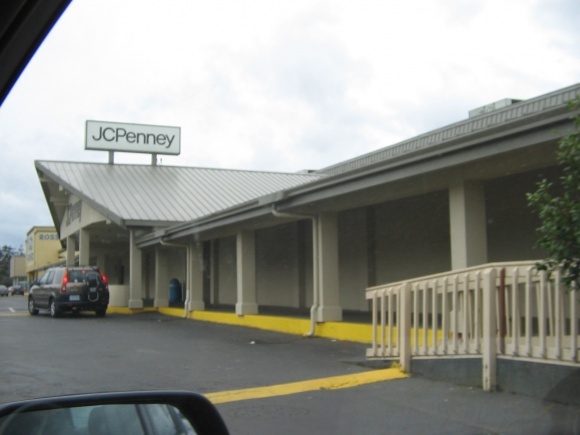 Payless was where Penney’s is, I believe. 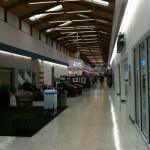 Neat mall, thanks for sharing. No cookie cutter there. 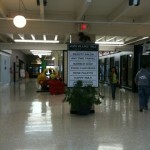 I was looking at the blogs and decided I would do a little research at the origins of Pony Village Mall. If you like history then you’ll like the site I found and am pasting to this. 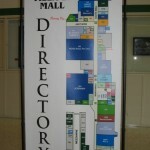 It mentions that the mall was built in the 1960’s. July 9 is the 50th anniversary of it’s creation. 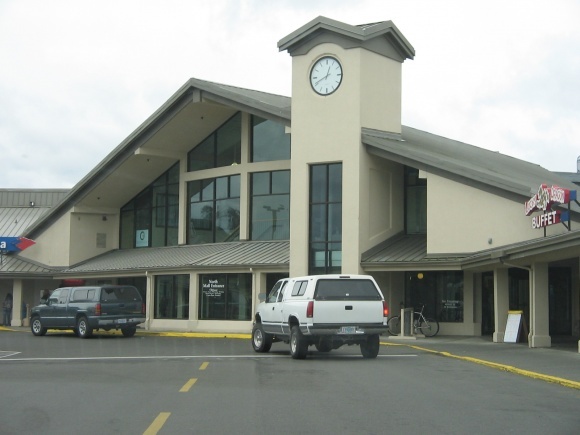 If you are near North Bend, Oregon on that date you may want to come and see. 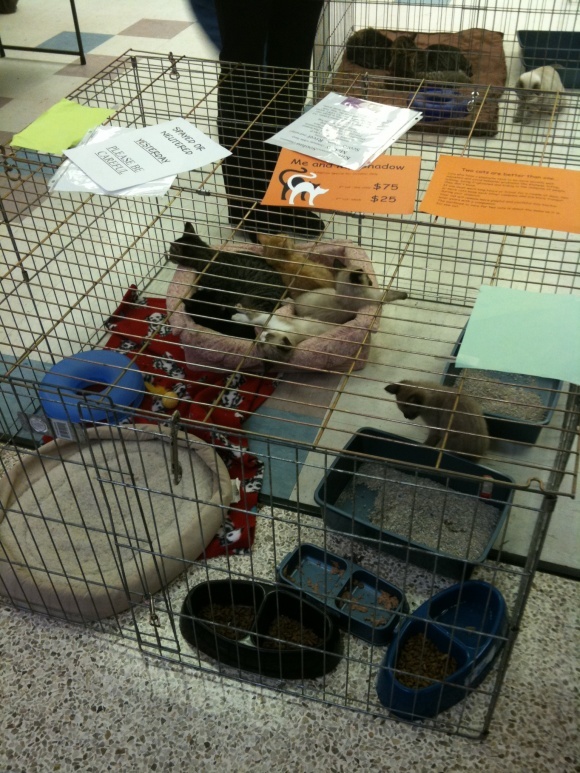 They have quite an extravaganza planned. Sounds like very family friendly. 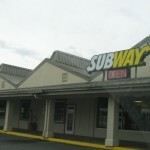 There are also several very good places to eat in the mall. 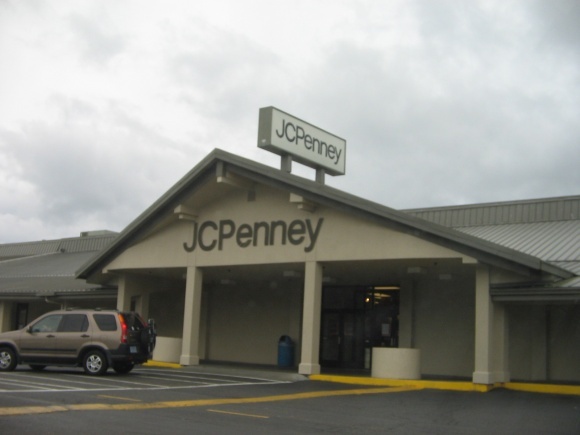 Just announced today: The JCPenney in this mall is closing.